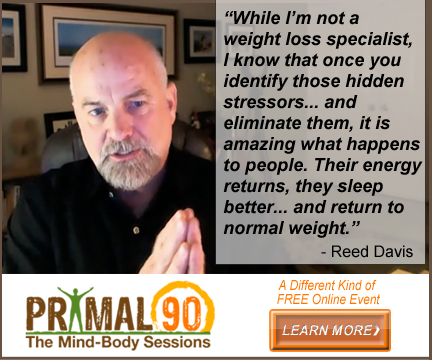 It is with great excitement that we are announcing the launch of the Primal 90: Total Mind-Body Transformation System! This is NOT another summit. We (along with much of our audience) have grown weary of the standard summit system. While we do find the information shared in summits to be valuable, we feel like the Primal 90 system we've created is a superior approach to helping people get REAL results. 22 educational/instructional videos - an entire online course! Dozens of guides, checklists, worksheets, and other tools to help those who purchase the program to easily put everything they're learning into action. 9 meal plans, covering some basic real food templates, as well as, a number of therapeutic diets including over 250 recipes! Remember, this is not just another summit. The free roll-out event features 1 new free video being released each day, and that video will be available for 72 hours. This differs greatly from the standard approach of posting 3-4 videos and giving people only 24 hours to view them. We want people to actually be able to see all the interviews/segments without feeling rushed or pressured! Yes, we are featuring expert interviews from many familiar names as well as people you may not know. yet. Our first priority was to create a superior event and product. To us that meant including people who have a powerful and helpful message to share regardless of the size of their email list. ... and many more familiar faces. Check out the Primal90 Free Event Registration Page HERE to see the full line-up of guests for this free launch event! The program itself will be rolled out (immediately following the free event) as a 12-week course, with a new module being released each week to our members. Each module will consist of 1-2 videos from us, as well as between 2-4 guest expert video segments, along with all the tools they need to implement what they're learning in that particular unit. I'm so excited to be affiliated with this great new program Primal 90!